Editor’s note: This article was originally published to the ACC’s online magazine website (www.acclive.com) in June, 2014. 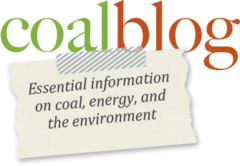 It has been moved to the Coalblog as part of our redesign of our online publications. By David Rothbard and Craig Rucker, Committee for a Constructive Tomorrow (CFACT). This article was originally published at CFACT.org. Then what is really Obama rallygoing on here? Why is President Obama imposing some of the most pointless and destructive regulations in American history? He is keeping his campaign promises to his far-left and hard-green ideological supporters, who detest hydrocarbons and want to use climate change to justify their socio-economic-environmental agenda.